3310 W. Bryn Mawr Ave. 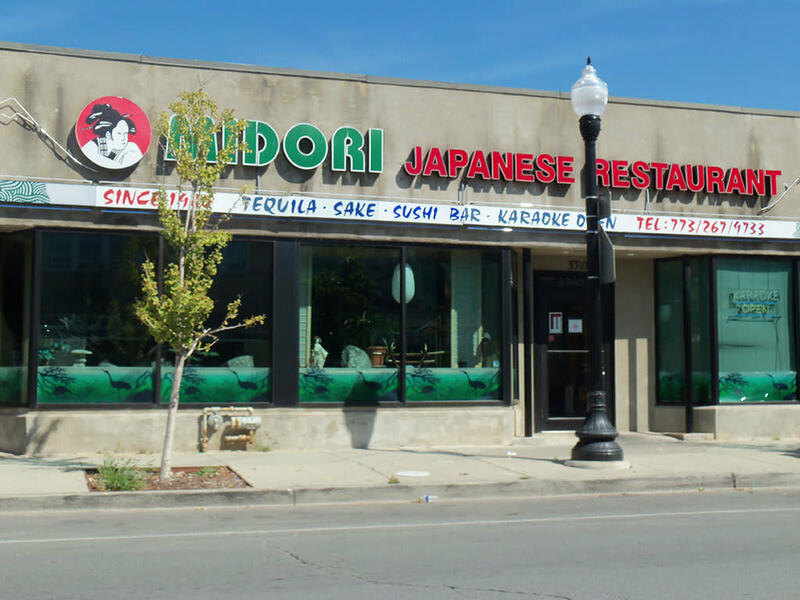 This North Park spot has a wide selection of Japanese cuisine including octopus, herring eggs, tuna, snapper, shrimp, salmon, squid, snails, flounder, tofu, chicken and beef. Donburi, udon, shioyaki, katsu, sukiyaki, teriyaki, ginger, maki, stewbase, tendon and tempura dishes. There are four tatami rooms that can be closed off for privacy, each seating six people. The general seating area is light and airy, decorated with Japanese lanterns, ceramic birds and plants, and each table has a bright turquoise bowl holding soy sauce. The waitresses are dressed in colorful kimonos and the menu is written in both English and Japanese.